Film Review: “First Reformed” Brings the Career of Filmmaker Paul Schrader Full Circle | Movies | Style Weekly - Richmond, VA local news, arts, and events. Ethan Hawke plays the Rev. 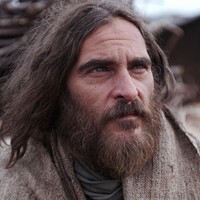 Toller, a hopeless and worn-down religious leader in a movie worth watching. In 1972, the seminal volume "Transcendental Style in Film" positioned filmmakers Yasujirô Ozu, Robert Bresson and Carl Theodor Dreyer as religious artists who delayed the easy gratifications of cinema so as to portray a sense of the wholly other. Published by film critic Paul Schrader, this profound, urgent text bridged the gap between religion and cinema and influenced future critics and filmmakers alike. Schrader observed that Ozu and Bresson, though hailing from different cultures, similarly froze the natural empathetic qualities of cinema, withholding emotion to achieve a greater sense of catharsis at a film's end. Dreyer was more of a wild card, fusing elements of transcendentalism with German expressionism. A few years after writing "Transcendental Style in Film," Schrader penned Martin Scorsese's "Taxi Driver," which launched a legendary collaboration between the filmmaker and screenwriter. 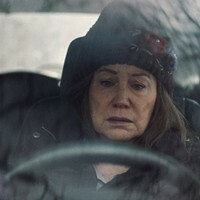 Schrader became a director in his own right, fusing transcendental elements with lurid tropes to fashion weirdly arresting existential thrillers such as "American Gigolo," "Light Sleeper" and "Affliction." Like Dreyer, Schrader is a wild card who doesn't entirely devote his art to the transcendental aesthetic. Now, with "First Reformed," Schrader embraces the transcendental style with newfound purity and ferocity, bringing his career full circle. The film is a cumulative work, a cool and tightly coiled expression of fury and exaltation. "First Reformed" features a protagonist who's familiar to Schrader's oeuvre: a loner disenfranchised from society and in danger of radicalization. The Rev. Toller (Ethan Hawke) is the head of First Reformed, a Dutch reform church that played a historical role in the Underground Railroad. These days, however, First Reformed is seen as a quaint tourist attraction, with a broken organ and clogged toilet that serve as painful and occasionally comic metaphors for its irrelevancy. Most people would rather attend the megachurch Abundant Life, which is led by the Rev. Jeffers (Cedric the Entertainer), a flashy yet sympathetic man who serves as Toller's boss and occasional sounding board. Like the central character of Bresson's "Diary of a Country Priest," as well as the antiheroes of many Schrader scripts, Toller keeps a journal documenting his increasingly hopeless thoughts. This society is understandably wearing Toller down, and his despair is ignited, or perhaps infected, by Michael (Philip Ettinger), a young man who's obsessed by society's refusal to address impending environmental catastrophe. "Will God forgive us?" Michael asks. In one of the most powerful scenes of Schrader's career, Toller and Michael extensively debate the courage of maintaining hope in the Trump era. Talking Michael down from oblivion, Toller is truly wrestling with his own turmoil, which is an extension of Schrader's own internal debate. The mirror effect is dizzying, and expressed by hard and terse dialogue that boils ineffable rage down into sonatas of earnest yearning. As Toller bonds with Michael's pregnant wife, Mary (Amanda Seyfried), Schrader delays our emotional gratification with the cinematic language of transcendental style. There's little music and the camera rarely moves — and when it does, the effect is to jarringly conjure a sense of the holy. Shots are held for a length of time that will prove uncomfortable for viewers accustomed to Marvel action extravaganzas. And the actors, particularly the remarkable Hawke, are coaxed to deliver their lines in a matter-of-fact fashion that denies the audience the heat of melodrama. When Mary suffers a tragedy, she outwardly works through it like one might any everyday chore. These devices create an emotional constriction, connoting simultaneous senses of loss and appreciation that are cumulatively moving. When Mary and Toller go on a bicycle ride, Schrader cuts to a shot of the trees over Toller's head and allows the audience to savor them. This is partially why the style is called "transcendental"— our bio-rhythms are slowed down so that we might savor qualities and elements of life which we usually take as a given. The trees have a totemic intensity in this context, and so do many other objects. The first shots of "First Reformed" are of the titular church, as Schrader lingers on its beautiful geometry, reveling in a cinematic austerity that couldn't be less fashionable. 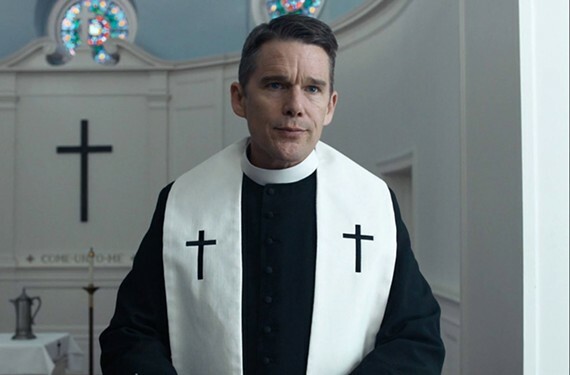 The contrast between First Reformed and Abundant Life is the contrast between films like "First Reformed" and what presently passes for mainstream discourse, whether we're talking Marvel and "Star Wars" movies or the rage machine of online media. We live in a culture that scrambles us with superficial stimulation so as to block recognition and consideration, while intelligence and courtesy are vilified as weaknesses.